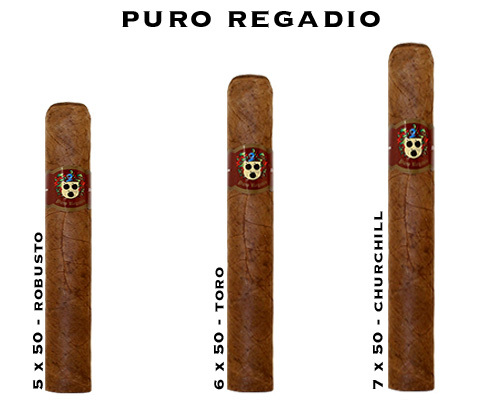 Puro Regadio Cigars - Buy Premium Cigars Online From 2 Guys Cigars . This Nicaraguan Puro comes in 3 sizes. For as low as $2.50 a stick, by the bundle, this value cigar offers lots of flavor without putting a big hit on the wallet. It's a solid medium with notes of pepper and a hint of cinnamon. Worth a shot, if you are looking for a good everyday cigar.